Scranton wedding venues offer a little bit of everything for couples marrying in northeast Pennsylvania. Thanks to the city’s industrial past, chic renovated mills and plants are plentiful, but so are lush country farms,...Read more Pocono resorts and cosmopolitan hotels. There’s a ton of variety for couples in the market for Scranton wedding venues. Nestled inside the Lackawanna River Valley is the bustling city of Scranton, Pennsylvania. Known for its roots in coal mining and modern day abundance of cultural activities, the city is the perfect destination for lovebirds looking to tie the knot. 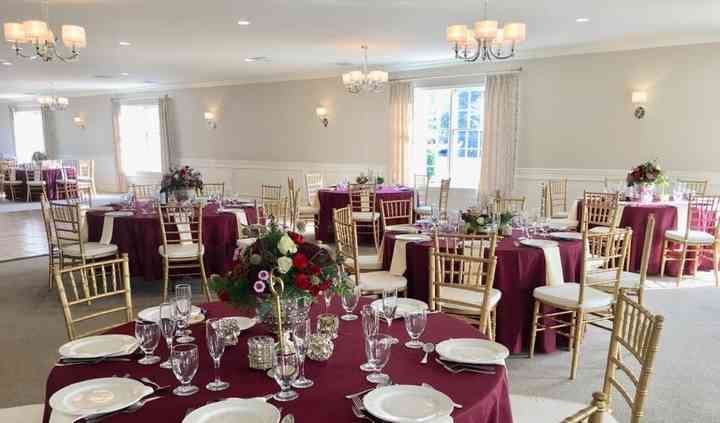 Read on to find out more about finding one of many gorgeous Scranton wedding venues. Dive into the city's cultural surroundings by choosing to get hitched at one of the many beautiful museums or art galleries in Scranton. From classic indoor spaces within the facilities to stunning outdoor patios and gardens, cultural venues are a great way to let your personality shine through on your wedding day. For more traditional options, there are a plethora of country clubs, hotels and resorts to choose from in the area. 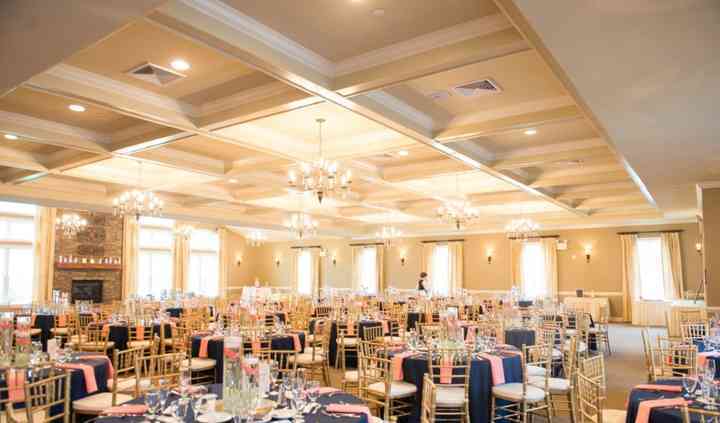 If you're having a large wedding celebration, look into one of the many fabulous banquet halls or event centers available in Scranton. Wedding budgeting can be a tricky thing, but you and your partner can bank on spending 30 to 50 percent of your overall wedding budget on your venue. With this in mind, know that weddings in Scranton cost an average of $25,000 depending on how many people are in attendance. The closest major travel hub to Scranton is the Wilkes-Barre Scranton International Airport, located in Pittston Township, Pennsylvania, roughly nine miles southwest of Scranton. For additional flight options let your out of town guests fly to Newark Liberty International Airport which is 117 miles east of the city and offers service to most major regions. Hotels are reasonably priced in the city, and you and your loved ones can expect to pay around $100 a night for an accommodation in Scranton. If you and your fiancé(e) are looking to be proactive about wedding planning, reserve a hotel block for the ones you love in the city. Although Scranton is full of museums, hiking trails and historic tours, some of your guests might want to visit the surrounding area as well. Recommend Wilkes-Barre to your wedding guests looking for a bit of sightseeing nearby. While Scranton is beautiful year around, it's also humid all year long. Experience each season to the fullest in the city and embrace the time of year in which you plan your wedding. Autumns in Pennsylvania are full of fall foliage and crisp winds, winters bring cold days and snowy afternoons, spring time is known for being humid and warm, and summers are hot, humid and often feature thunderstorms. Hug the one you love a little tighter after you say: "I do" any time of year, and embrace the season of romance. Getting married should be a joyous affair, and WeddingWire wants to help you make the most of it as you are leading up to your wedding day. Access our convenient planning tools for assistance in organizing your Big Day. With services that help simplify wedding planning, we make it easier to walk down the aisle.